If you follow me on twitter you will know that I have not been feeling too well the past couple of weeks, so to cheer myself up I did what any makeup lover would do - I hit the beauty counters! The Clarins counter is not one that I usually head to but as I love Beauty Flash Balm I thought I should probably find out more about this brand and its products. 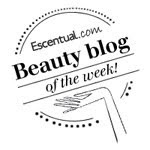 Reading the reviews on BeautySwot you will know that I am lured by products that have names that promise great things.. Now who would turn down the opportunity to have skin that has natural radiance? The counter assistant offered to give me a few sachets in different shades of the foundation to try out but said that I would probably match to Shade 108 Sand. I tried this one day when I was looking so tired, my eyes were so puffy and had huge bags and wrinkles under them from being so ill, my skin was dull and felt horrid to the touch. I wanted to try this out to perk me up. Sand was indeed the perfect shade for me, good thing really as I opened that sachet first. Skin Illusion Foundation has a wonderfully fresh cucumber scent which I absolutely love. The texture is incredibly light and almost gel like in consistency. The foundation provides medium coverage (although you will probably need to use a concealer if you have a bad blemish day) and feels weightless on the skin. I cannot feel it at all and yet my skin looks incredible, flawless and brighter. This foundation has a really nice semi matte finish, I do like my dewy foundations (Chanel Vitalumiere) and heavier coverage ( Estee Lauder Double Wear) but this finish was a revelation. My face feels soft and hydrated and looks super smooth. My skin embraced Skin Illusion, it almost felt like it was crying out for it. That day it was just the tonic I needed. I had two compliments on my skin when I was wearing this foundation and I always find that this a great indication of whether a foundation is doing its job. Skin Illusion has good staying power (on my skin it would last a good 7 hours) and fades evenly but I always use a primer underneath so cannot say how long it will last without it. I did get a bit of a shiny nose wearing it yesterday but it was nearly 30 degrees and I had been out in the heat for over six hours at this point. If you are after a foundation that is your skin but better than look no further. My skin looks radiant but without the dewiness that a lot of radiant finish foundations leave and is perfect for my combination skin. Here I am wearing Skin Illusion on that first day I tried it. If I didn't have so many foundations to get through I would definitely be purchasing it as I absolutely love it and rave about it to anyone who will listen. What do you think? Have you tried Skin Illusion? Clarins Skin Illusion Natural Radiance Foundation SPF10 is available in 10 shades and costs £24 for 30ml. 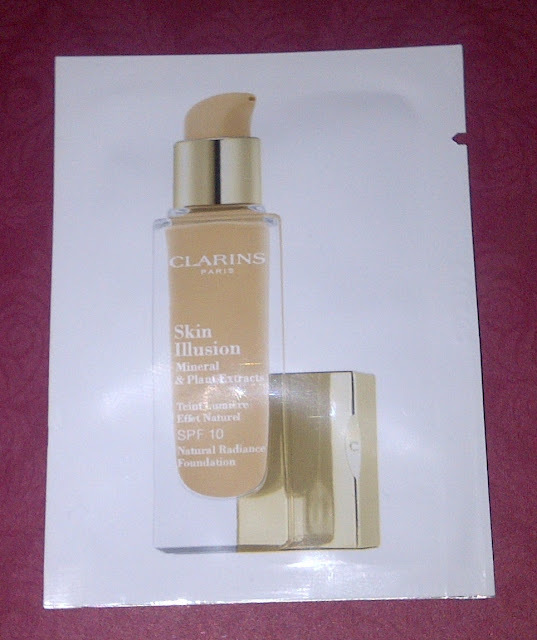 I have never tried Clarins foundations but will now.. good to hear they are happy to give out samples, I'll have to ask for some. Love the Clarins smell! Michelle, do try it and let me know how you find it. Laura - It certainly does perk up the skin, a fab find. is this foundation ok for oily skin?? Andrea - Clarins say it is suitable for all skin types, I would ask for a sachet sample and try it for yourself to decide whether it would suit your skin type. My skin is normal/combination. I hope that helps.